Srinagar sits in an alluvial basin and is well known as a flood prone area. The problem has been compounded by the construction of embankments on either side of the Jhelum river. Progressive silting of the river has raised the river bed till it is higher than street level. The stretch of the river from Sopore to Baramulla has the same features but has been regularly dredged and de-silted. However, for some inexplicable reason, no de-silting has been done from Srinagar to Wular lake. Severe floods occurred in the Kashmir valley in September 2014. The embankments gave way at several locations and most of the river emptied out into the city. Diverting some of the water to the flood channel merely resulted in flooding rural areas also. A far more elegant solution to river flooding is to de-silt the river, thereby increasing its carrying capacity. Sand mining also has the same effect — at no cost to the government — and needs to be encouraged. Our blog came out with a detailed explanation of all this in September 2014 itself. However, we were surprised at the sheer apathy of the government and the general public. A sustained campaign was, therefore, undertaken in the electronic media and by interacting with opinion makers. We are glad to report that the J & K government has seen reason and has now issued a tender for purchase of two cutter suction dredgers. This is a case study on the importance of public opinion in a democracy. The basic problem in Chennai is that the annual rainfall is highly variable. In some years it is as low as 18 inches and there is drought. In other years it is as high as 90 inches and there are floods. The average annual rainfall is about 50 inches and the drainage system can only cope with this. Cyclones visit Chennai every now and then and cause torrential downpour. Most Chennai floods occur due to cyclones. We can see that history repeats itself. The main difference in 2015 was that there was no cyclone. Instead there were two spells of prolonged rainfall of moderate intensity. Both these spells were very much forecast and it was apathy and complacency that caught the people unprepared. The first spell was in early November. It saturated the ground and filled the numerous storage tanks. It was pretty obvious that the second spell would make the tanks overflow. My grandfather and earlier generations were farmers. You could say that farming is in my blood. So when I got a chance to see a dairy farm and creamery in North Carolina, off I went. “Simply Natural” is a dairy farm that pasteurises and bottles its milk and makes its own cream, butter and 35 flavours of ice cream. Refrigerated trucks deliver the finished products to the neighbouring towns in eastern North Carolina. They have a retail shop. And guided tours too. Kerala is blessed with rich soil, a tropical climate and plenty of rainfall. It, therefore, attracted raiders and migrants from the arid region of Madurai. They established the independent kingdom of Travancore. Migrants from the north settled and took over the region from Gokar-nam to Kasargode. In recent centuries there were three regions — Travancore and Kochi kingdoms and Malabar. The last was ceded by Tipu Sultan to the British who merged it with the Madras Presidency. The present state of Kerala was formed on 01 Nov 1956 as a result of states re-organisation. 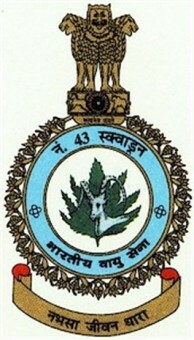 Kumbanattu Kudumbayogam was inaugurated on April 9, 1988. A. very concise history of our Kudumbam was then published as a small pamphlet. It was in some respects supplemented by the President, the present writer, in his Presidential address. This evoked keen interest among a large number of the family members, particularly the younger in age, and there was a pressing demand to prepare a full and detailed history of our family. Accordingly, the Kudumbayogam has adopted a resolution to prepare a directory of the family. Such a work is bound to take time. I have, therefore, ventured to prepare this brief history of our family. The history of our family is closely linked with the establishment and growth of the Christian Church (Mar Thoma Church) in this village of ours. The knowledge of the history of the Church is even poorer than that of the family. Though there are many books dealing with Church history, they are not within easy reach of everybody. Reading them is often cumbersome because of their involvement in the different order of faiths and various interpretations. The present aim is only to give something like a gist without going into details or getting involved in the discussion of different faiths, beliefs and interpretations. Though not exhaustive, care has been taken to be as accurate in facts, as possible. Part I of this treatise deals with the history of the Church in Kerala – the Malankara Church, with special emphasis on the Mar Thoma Church. Part II deals with the history of our family. The two parts are practically independent of each other. 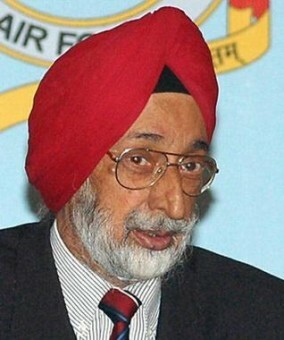 Air Commodore Jasjit Singh was a former Director of Operations of the IAF and former Director of the Institute for Defence Studies and Analyses (IDSA). He was one of the leading analysts of Indian military and strategic thought. His tenure as the Director of IDSA and as the founder of the “Center for Air Power Studies” has cemented his legacy in the annals of Indian Aviation. Google Science Fair https://www.googlesciencefair.com/#!/en/2013/ The Google Science Fair is an online science competition open to students ages 13-18 from around the globe. Top prize is a $50,000 scholarship. Sanofi-aventis International BioGENEius Challenge: For high school students only; recognizes outstanding research in biotechnology. Process is state, regional, international—all held by sanofi-aventis. Top prize is a $7,500 cash award.